WIN all these goodies with our WANDERLUST giveaway! We are super excited to have teamed up with some of the HOTTEST designers for this exclusive Wanderlust themed giveaway! The lucky entrant will win all of the vacay favourites pictured below including the Shh turquoise Rio bracelet, Cai Swimwear bikini, sunnies and Bali body luxe bronzing lotion, Instyl Boutique outfit and Bits and Pieces to go endless summer floppy hat! To enter visit the Shh by Sadie Instagram page. Competition ends Sunday 23rd September. And check out Cai Swimwear, Instyl Boutique and Bits and Pieces to go for your sunshine essentials! 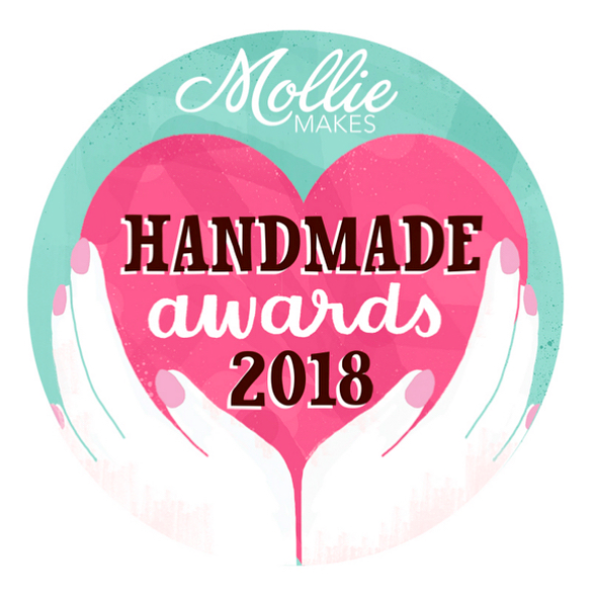 SO yesterday was the Mollie Makes Handmade Awards day, and what a day it was! Finalists from all categories were invited to a day of events and networking at Dead Dolls House in Islington, London. It was so lovely to meet my eight fellow Best Product category finalists, they are all so talented. The winner, Little Paisley Designs, was very well deserved. In the afternoon I went on a colour walk led by In Colourful Company, listened to a thought provoking panel discussion on working smarter, not harder, and the wonderful Keith Brymer Jones gave an encouraging keynote speech. It was a very long, (and hot! ), day, and I arrived back in Plymouth at 10pm definitely ready for a cup of tea! 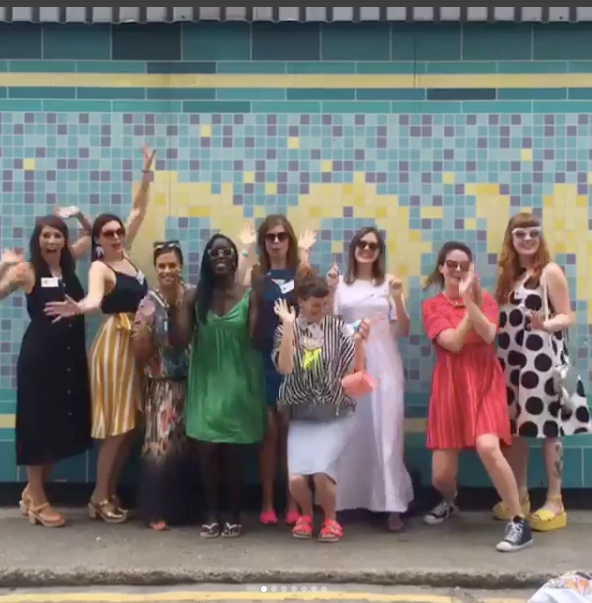 Massive thanks to the team at Mollie Makes for organising such an inspiring day jam packed full of wonderful fellow creatives. WIN a Rocked Up crystal quartz necklace! We are planning exciting collections and releases for 2018 and need your feedback to help us perfect them! 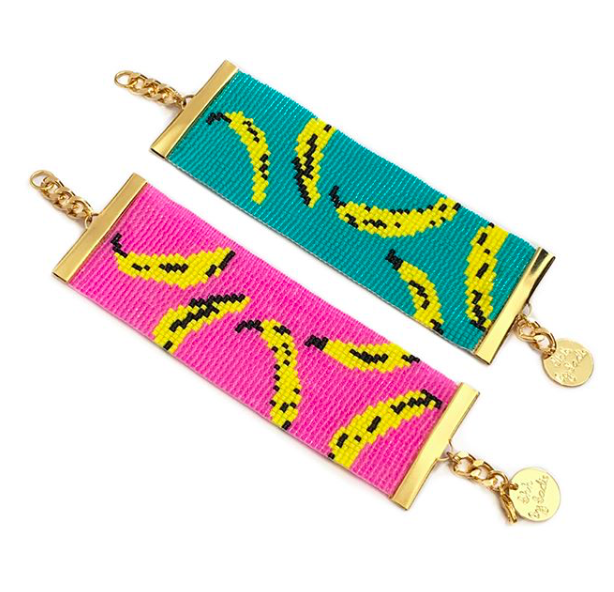 By filling in a short questionnaire you can enter to win a Rocked Up necklace worth £79! Click here to take the survey and enter the competition. One entry per person. Winner will be selected Saturday 20th January 2018. Route to entry for the competition and details of how to enter are via Shhbysadie.com. Closing date for entry will be 20/01/18. After this date the no further entries to the competition will be permitted. The rules of the competition and how to enter are as above. Shh by Sadie reserves the right to cancel or amend the competition and these terms and conditions without notice in the event of a catastrophe, war, civil or military disturbance, act of God or any actual or anticipated breach of any applicable law or regulation or any other event outside of Shh by Sadie’s control. Any changes to the competition will be notified to entrants as soon as possible by Shh by Sadie. The prize is as follows: a purple Rocked Up necklace. The prize is as stated and no cash or other alternatives will be offered. The prize is not transferable. Shh by Sadie will select and notify the winner within 7 days of the closing date. If the winner cannot be contacted or does not claim the prize within 14 days of notification, we reserve the right to withdraw the prize from the winner and pick a replacement winner. Shh by Sadie’s decision in respect of all matters to do with the competition will be final and no correspondence will be entered into. It's Shh by Sadie competition time again! You can get your hands on a hot hot hot purple Rocked Up necklace! Rocked Up has featured in UK's Living Etc, UK's Woman and Home, Spain's We & You, NZ's Your Home and Garden, Women's Weekly NZ, NZ Herald, The Dominion Post, Kia Ora and Remix magazines, along with several Shoe Collection campaigns. See Shh by Sadie press here. US actress China Anne McClain, Kiwi singer Julia Deans, Thread.co.nz's Megan Robinson, former Remix editor Tina Moore, stylists Sopheak Seng and Samantha Hannah have all rocked these statement necklaces! Click here to tag a friend and share the post. Share this post and tag @shhbysadie. Multiple entries permitted. Winner will be selected Friday 26th August. Closing date for entry will be 26/08/16. After this date the no further entries to the competition will be permitted.